5th class students in Gujranwala got free from their annual examinations in February earlier this year. These 5th class examinations are conducted by Punjab Examination Commission (PEC) with the help of various boards set up in Punjab. Soon BISE Gujranwala Board 5th Class Result 2019 is going to announced on 31st March, 2019. Gujranwala Board assists PEC to conduct examinations in Gujranwala and its other districts. 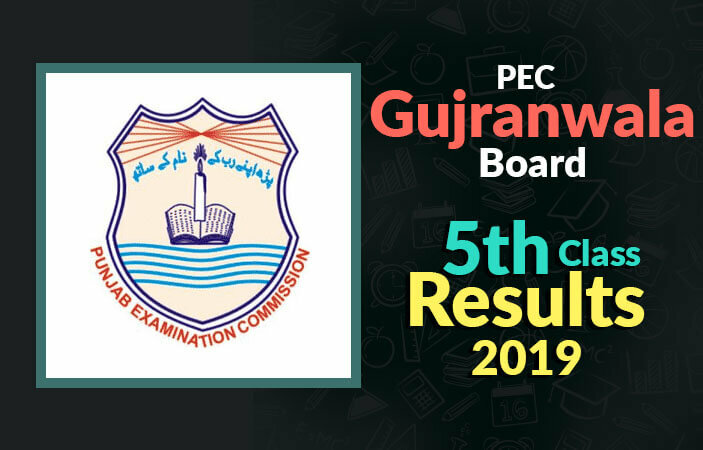 BISE 5th Class Result 2019 for Gujranwala board is going to be declared on March 31st 2019 by the PEC. Gujranwala Board oversees many other districts and has the duty to take exams of 5th class there as well. The examination of primary (5th) classes of the districts Gujarat, Mandibaha-ud-din, Sialkot, Narowal, and Hafiz Abad all fall under the supervision of Gujranwala board. Now they are compiling the result of the 5th classes. All the students who appeared in their 5th class examinations of Gujranwala board are waiting for their BISE Gujranwala 5th Class Result 2019 which is to be announced on 31st March this year. You will be able to find your result on our site’s result page of 5th class. As soon as the result is posted by the Punjab Examination Commission we will upload your result here on BeEducated. You will be able to find out your result on our site by providing your roll number and in return we will show you your annual result quickly and totally error free. So keep visiting this site for news and updates on the upcoming results. We wish you all best of luck.